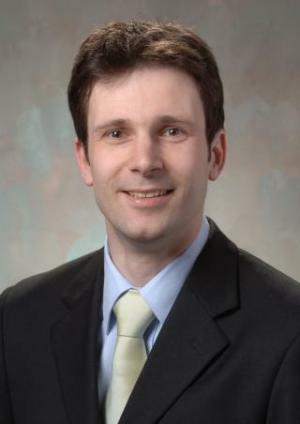 Hendrik Heinz is an Associate Professor at the University of Colorado-Boulder. He carried out postdoctoral work at the Air Force Research Laboratory in Dayton, Ohio, and received his PhD degree from ETH Zurich in 2003. His research focuses on molecular simulation of biological and nanostructured materials for medical, energy, and structural applications. He and his team integrated previously incompatible platforms for the simulation of biomolecules and for the simulation of inorganic compounds into one highly accurate platform for the simulation of functional materials across the periodic table. The new force fields and surface models enable the simulation of trillions of novel complex biointerfaces and hybrid inorganic-organic materials at the 1 to 1000 nm scale. Honors include election as a Fellow of the Royal Society of Chemistry (UK), the Sandmeyer Award of the Swiss Chemical Society, the Max Hey Medal of the Mineralogical Society, an NSF Career Award, the Giovanni Novelli Prize of the Italian Clay Group, an Hewlett-Packard Outstanding Junior Faculty Award from the American Chemical Society, as well as invited guest professorships at ETH Zurich and at the National Institute for Materials Science (NIMS) in Tsukuba, Japan.